Reading Kevin Kwan's "Crazy Rich Asians"
Getting a job has convinced me to spend less money. More books from the library, less clothing, more meals at home—the usual. Or my usual. It’s not the usual for the characters in Kevin Kwan’s Crazy Rich Asians. The novel follows Singapore’s über-rich. It is an homage to consumerism and conspicuous consumption. And this makes it compulsively readable, Kwan’s ability to describe the relationships between Singapore’s various groups and how they perceive the world will keep even frugal folk flipping pages. The story broadly follows Rachel Chu and her boyfriend Nick Young as they head to Singapore for the summer to attend the wedding of Nick’s childhood friend. What strikes Rachel as an innocent-but-terrifying trip to meet Nick’s family turns out to be a trial-by-fire as she learns that Nick’s family is an old-school wealthy Peranakan clan. They’re hostile to outsiders, especially ABC—or American Born Chinese (Rachel immigrated to the US from China as a child, but this distinction is lost on Nick’s family). 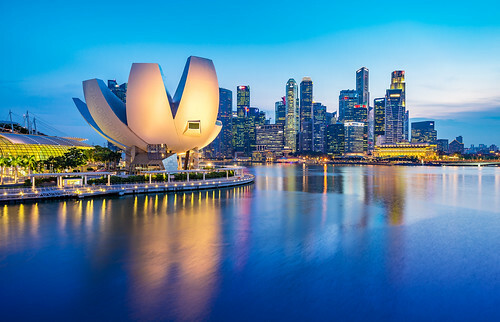 Throw in a smattering of Malay phrases, Cantonese words and arguments over Singapore’s best satay stall and the story tempts us poorer readers with the delights of a trip to the steamy city-state. Having grown up in this world, Kwan writes about it with authority and sympathy. This allows him to keep even the most Hollywood-villain characters from appearing as pure histrionic horrors. As the gossipy characters collude and collide, Kwan sprinkles in facts and phrases that offer the equivalent of intellectual tattle. Footnotes highlight clever phrases and explain names and locales the characters drop. It’s like getting a foreign copy of Vanity Fair, annotated so you don’t miss out on the gravity of the scandals. But like most scandals, the gravity is illusory. It’s hard to feel anything other than irked when Rachel attends a bachelorette party filled with Mean Girls worthy pranks. Or when Nick’s cousin Alistair brings home Kitty Pong, Chinese soap star who wears see-through dresses sans underwear to family events. In The Guardian, Patricia Park argued that Kwan presents caricatures with the same bounty as he describes these limitless parties. But I wonder if these cartoon-worthy hijinks don’t demonstrate Kwan’s skepticism toward his countrymen’s behavior? Rachel becomes the book’s moral compass and her distance aligns her with the reader, encouraging them to question how modern consumption conditions our lives. Like watching satirical late night shows helps people cope with political chaos, reading about these personalities helps the frugal reader cope with the roller coaster of modern consumption. The quick process of reading Crazy Rich Asians also parallels modern consumption, demonstrating to the reader the evanescence of material desires. Start the book on Monday, finish or Friday, or Sunday if deadlines keep you late at the office. Each chapter is a quick escape, no more than a few sitcom-esque pages. You don’t need to go shopping for an adrenalin jolt, just read. Crazy Rich Asians succeeds because it becomes the modern consumption it depicts. Crazy Rich Asians offers an entertaining, pop culture imagination of Singapore’s upper-crust. It’s Gossip Girl, by way of Asia. While the reader realizes that these depictions are over the top, it’s still easy to come under their spell. And that spell is entirely delightful—whether we’re comfortable with that or not. Sign up to receive new posts sent to your inbox.